The court denied plaintiff's motion for a preliminary injunction to preclude defendant from selling its accused email products and determined that plaintiff failed to establish irreparable harm. "[Plaintiff's] own actions belie its assertion that it requires immediate, equitable relief. . . . [O]utside of the conclusory allegations of its Chief Executive Officer and Founder, [plaintiff] has produced no substantive evidence of loss of revenue, market share, goodwill, shelf space or any of the other factors which combine to prove injuries which cannot be made whole by monetary damages. . . . Evidence presented by the parties which was filed under seal but briefly discussed during oral argument raises ER 408 questions. . . . As highlighted by [defendant], Rule 408 prohibits the use of offers to compromise when offered to prove liability for, invalidity of, or amount of a claim that was disputed as to validity or amount, or to impeach through a prior inconsistent statement or contradiction. [Defendant], however, does not offer the evidence in dispute to establish liability, validity or amount of a claim. Rather, the evidence is presented to establish whether there would be irreparable harm to [plaintiff] which could not be compensable by money damages, not the validity of the claim or amount of the harm." The court denied plaintiff's motion for a preliminary injunction to preclude defendant from selling its accused semiconductor inspection products because plaintiff failed to establish irreparable harm based on incumbency/vendor lock-in. "[Plaintiff'] argument of irreparable harm without an injunction is focused on 'incumbency' or vendor lock-in—the idea that customers who purchase [the accused product] will be unlikely to switch to a [plaintiff's] product because of the substantial switching costs. . . . [Plaintiff] has failed to proffer any customer based evidence — either directly from a customer or in survey form — indicating that the [patent-in-suit] influences customers’ purchasing decisions or makes the product significantly more desirable. . . . [T]hese systems have numerous features permitting inspection of increasingly smaller components. Because of this complexity, the causal nexus requirement is not easily satisfied. Also cutting against [plaintiff's] causal nexus arguments is the sizable price difference of the [accused] and [plaintiff's] systems [$2.8 million and $4.4 million.]. . . While price always influences purchasing decisions, the sizeable disparity here suggests price difference would play a significant role in the purchase decision." Following a second bench trial, the court found that the defendant drug manufacturers induced infringement of plaintiff's chemotherapy drug patent because all steps of the claimed methods could be attributed to physicians. "[T]he factual circumstances are sufficiently analogous to those in [Akamai Technologies, Inc. v. Limelight Networks, Inc., No. 2009-1372, 2015 WL 4760450 (Fed. Cir. Aug. 13, 2015) (en banc) (per curiam)] to support a finding of direct infringement by physicians under § 271(a), and thus inducement of infringement by Defendants under § 271(b). . . . Although the parties present extensive arguments as to whether [the physician's instructions] constitutes the physician 'administering' the folic acid, whether or not this satisfies the definition of 'administer' is not relevant. What is relevant is whether the physician sufficiently directs or controls the acts of the patients in such a manner as to condition participation in an activity or receipt of a benefit—in this case, treatment with pemetrexed in the manner that reduces toxicities—upon the performance of a step of the patented method and establishes the manner and timing of the performance. Defendants argue that there is no way of knowing whether the patient will or will not actually take the folic acid, thus the physician lacks 'control or direction' over this step of the patented process. . . . The Court cannot base a finding of non-infringement upon the mere possibility that some patients might not follow their physician’s instructions and instead must look to the ANDA Products’ labeling to determine, if all the patented steps are followed, whether it would infringe the Asserted Claims." The court granted defendant's motion to dismiss because the asserted claims of plaintiff’s promotional games patent encompassed unpatentable subject matter and found that the claims were directed toward an abstract idea. "[T]he court finds that the concept of promotional games -- 'random drawing sweepstakes, instant win packaging, lotteries, collect & win and match & win contests' -- is an abstract idea. Though perhaps some would dispute whether such games are a 'fundamental' economic principle, there can be little doubt that they qualify as a 'longstanding commercial practice' and a 'method of organizing human activity.'. . . Promotional games are marketing tools. Though a precise definition of 'abstract idea' is deliberately elusive, in the court's view, these tools fit squarely within any understanding of the category." The Board denied the patent owner's motion to terminate the proceeding based on a failure to name the petitioner limited liability company's sole member as a real party in interest. "[T]here is a rebuttable presumption that a petitioner’s identification of real parties in interest is accurate. However, when a patent owner provides sufficient rebuttal evidence that reasonably brings into question the accuracy of the petitioner’s identification, the ultimate burden of proof remains with the petitioner to establish that it has complied with the statutory requirement of 35 U.S.C. § 312(a)(2) . . . We . . . determine that [the sole member of the petitioner LLC] was not a RPI in this proceeding at the time Petitioner filed its Petition. In general, 'rarely will one fact, standing alone, be determinative' of the RPI issue. . . . [N]o evidence before us indicates that [the member company] is accused of infringing Patent Owner’s patent. . . . [Petitioner] contributed funds towards this proceeding, but not [the member company] . . . [The member company] is the sole member of [the petitioner]. In that sense, [the member company] exercises control over [the petitioner] generally. . . . [However] Patent Owner has only provided evidence of theoretical control, by way of corporate structure, but has not provided sufficient evidence that [the member company] had any actual control over [the petitioner's] participation in this proceeding. . . .[The member company] and [petitioner] share the same officers, but Patent Owner has not provided sufficient evidence that persuades us that the officers had the ability to, or in fact did, blur the lines between their respective roles in the organizations." Stays pending reexamination of a patent have always been an important consideration in the patent litigation process. In recent years, the America Invents Act created new proceedings, including inter partes review (IPR), covered business method review (CBM) and post-grant review (PGR) for challenging patents within the Patent and Trademark Office (PTO). Decided by the newly-constituted Patent Trial and Appeal Board (PTAB), the speed of these new proceedings, the initial success rates of challenges, and new estoppel rules all changed the calculus that district courts apply in deciding whether to stay litigation pending completion of a PTO proceeding. As a result, requests for litigation stays have become more common, and the number of stays granted by district courts has increased. Judges exercise broad discretion, not only in deciding whether to grant or deny a stay, but also in determining the nature of a stay, such as whether the stay will apply to the entire case or whether the stay will remain in place indefinitely or for a fixed time. Since a litigation stay can have a significant impact on the outcome of the litigation, making more informed, data-driven decisions has become more important than ever. Docket Navigator recently completed a study of district court decisions on contested motions to stay pending reexamination, IPR and CBM proceedings in the PTO from January 1, 2008 to July 31, 2015. The results of that study are reflected in this report. The overall number of decisions on motions to stay has been steadily climbing since 2011, with the most dramatic increase in between 2013 (with 351 decisions) and 2014 (with 443 decisions). That trend is expected to continue this year, but to a slightly lesser degree. The Northern District of California (CAND), the Eastern District of Texas (TXED), and the District of Delaware (DED) all decided a similar number of motions to stay. CAND decided the most overall, and had the highest grant rate, 57%. TXED is the opposite, with only 25% granted and over 67% denied. Delaware granted 55%, denied 38%, and partially granted 7%. While the length and scope of stays vary, most stays apply to the entire case and remain in place until the PTAB proceedings have concluded. 92% of stays apply to the entire proceeding, while only 8% apply to specific patent claims or products. 93% of stays apply until the PTAB proceeding is completed while only 7% end at a specific date or event. What impact does the stage of the PTAB proceeding have on whether a stay is granted or denied? Most stays were requested when the IPR was at one of two stages: (i) after a petition was filed with the PTAB, but before the PTAB rendered an institution decision (post-filing, pre-institution), and (ii) after the PTAB rendered an institution decision but before the PTAB issued a final written decision (post-institution, pre-FWD). In the first category, the stay decision was almost evenly split: 43% granted, 48% denied, 9% partially granted and denied. Many motions denied at this stage were denied without prejudice to refiling after the institution decision. In the second category, the success rates of motions to stay increased to 64%, with 25% denied, and 11% partially granted and denied. In many post-institution instances where the motion to stay was denied, the court’s reasoning was that the district court case was too far advanced to warrant a stay. Although each case is unique, the data reflects variances in outcomes of motions to stay based on the judge deciding the motion. For example, Judge Sleet has a very high grant rate, but Judge Mitchell and Judge Gilstrap have very high denial rates. Please note: a very limited set of judicial decisions are available due to the relatively narrow time period involved. As with all statistical properties, use caution when extrapolating from such small data sets. The number of motions for stays is on a steady upward trend. A motion filed after the PTAB has instituted IPR is more likely to succeed than one where the petition has only been filed. But a post-filing motion to stay still has a good chance of being granted. As always, different judges have different inclinations when it comes to granting or denying these motions. The likelihood of getting an entire case stayed is very high, as is the likelihood of having a case stayed until the IPR has concluded. Though there are obvious fluctuations between individual courts and judges, the overall trend shows that these motions are and will continue to be an important part of the litigation process. On remand, the court again granted defendants' motion for attorney fees under 35 U.S.C. § 285 because plaintiff brought its suit in bad faith. "This case 'stands out from others' in that [plaintiff] brought suit in bad faith with the improper motive of crippling Defendants’ business. . . . [I]n an effort to purchase [defendant], [plaintiff] accused [defendant] of infringing on a number of patents, including the [patent-in-suit]. [Plaintiff's] then Vice President and General Counsel . . . threatened that [defendant] would 'bleed with legal fees' unless [it] capitulated. [Counsel] also warned, 'I’m going to put you in bankruptcy and you will cry.' The Court finds that this evidence compellingly demonstrates how [plaintiff's] motive in bringing suit was not to assert its patent rights, but to interfere improperly with Defendants’ business and to protect its own competitive advantage." The court granted defendant's motion for attorney fees under 35 U.S.C. § 285, including fees incurred during inter partes reexamination in which all asserted claims were cancelled on grounds of invalidity. "The issue of whether a prevailing party in an exceptional case may recover fees for proceedings before the PTO, when the case was stayed due to the PTO proceedings, has received little attention. . . . Here, the legal services counsel performed for defendant during reexamination of the [patent-in-suit] were related to this suit. Reexamination was initiated during and in reaction to plaintiff’s action here. Further, the PTO’s cancellation of the asserted [patent] claims on grounds of invalidity disposed of plaintiff’s complaint here and made defendant the prevailing party. Thus, just as the parties envisioned when they jointly moved to stay this case, the reexamination proceedings essentially substituted for work that would otherwise have been done before this court. . . . Thus, under the unique circumstances of this case, defendant may recover fees for the reexamination proceedings." The court granted defendants' motion for attorneys' fees under 35 U.S.C. § 285 after plaintiff's case was dismissed following the PTO's invalidation of all asserted claims. "Plaintiff, an apparent shell corporation, seems to have been formed with the sole intent to create jurisdiction in another district. . . . It also seems that Plaintiffs further prolonged the reexamination process, and consequently this litigation, by refusing to present the USPTO with additional prior art that, eventually, was dispositive of the claims at issue in this case. . . . Unperturbed, Plaintiff sought to reopen the underlying litigation to engage in discovery to attempt to assert additional claims, despite having had multiple previous opportunities to assert such claims. . . . [I]n its most recent opposition to the instant motion, Plaintiff violated clear, important canons of professionalism in proffering clearly privileged information in support of its argument to mitigate or minimize its liability for attorneys’ fees. . . . Having now endured six years, it is clear that Plaintiff was the driving force behind keeping this litigation and reexamination process alive. Plaintiff’s litigation tactics have cost both Defendants and this Court to expend time and resources regarding the resolution of what appears to have been a frivolous claim." The magistrate judge recommended denying defendants' motion to dismiss plaintiff's claims for infringement of its financial product patents for lack of patentable subject matter as premature because claim construction had not occurred. "[I]t seems a definitive ruling on eligibility before claim construction is only warranted in narrow circumstances, making such a ruling the exception rather than the rule. The need for claim construction is especially apparent here, where Defendants dispute the meaning of various terms among the various claims it purports to be representative of all Asserted Patents. . . . The difficulty of making a substantive ruling on the validity of an issued patent in what is — in essence — a complete vacuum cannot be understated. While the claim language of some patents may be so clear that the court need only undertake a facial analysis to render it invalid at the pleading stage, that will not be the norm and is certainly not the case here." The court overruled defendant's objection to the magistrate judge's recommendation denying its motion for attorneys' fees under 35 U.S.C. § 285 and rejected defendant's argument regarding litigation misconduct by plaintiff's former counsel. "Defendant argues that Plaintiff's former counsel committed litigation misconduct by falsely testifying that he had created a claims construction chart during the pre-filing investigation and then falsifying billing records to support this false testimony. . . . There are hard-copy and electronic versions of Plaintiff's counsel's billing records . . . . [T]he hard-copy billing records appear to be altered. . . .These discrepancies are troubling: they suggest that Plaintiff's former counsel may have perjured himself when he testified that he created a claims construction chart . . . and may have falsified evidence in an attempt to corroborate this. These issues will be addressed by separate order and a referral to the appropriate disciplinary authorities. However, they do not affect the extraordinary-case analysis because they do not pertain to Plaintiff's conduct while litigating this case. To the extent there was misconduct, it took place well after Plaintiff voluntarily dismissed the case." The court granted in part defendants' motion in limine to preclude plaintiffs from referring to them with derogatory terms. 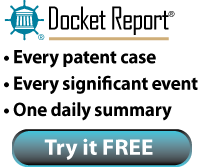 "Among the terms movants object to are 'patent troll', 'pirate', 'patent assertion entity', 'shell corporation', 'privateer', 'bounty hunter', 'bandit', 'paper patent', 'stick up', 'shakedown', 'playing the lawsuit lottery', 'corporate shell game', 'company that doesn’t make anything', 'company that doesn’t sell anything', and 'company that doesn’t do anything'. . . . The court agrees that such terms as bandit and bounty hunter carry negative connotations and, in fact, do not really have much descriptive value. . . . The court agrees that the parties shall avoid all terms that are not only pejorative but, like 'patent troll', actually contain a legal conclusion. The court, however, will not prevent any of the parties from using terminology that accurately describes the other parties’ businesses. . . . . Clearly [defendant] was, at an earlier time, in the business of making and doing things, as it constructed water heating apparatuses and heated water for use in fracking. As a licensor, [defendant] sold the rights to use the patent, so it is not accurate to describe it as a company that does not 'do anything' or a company that 'does not sell anything'. There is nothing illegal or immoral about protecting patent rights and selling the right to use a patented product or service. . . . [T]he parties are all entities that have engaged in legitimate services related to the production of oil. There is no reason for the parties to resort to any terminology that contains meaning or connotation that goes beyond accurately describing the activities of the other parties." Following summary judgment of noninfringement the court granted defendant's motion for attorneys' fees under 35 U.S.C. § 285 because the pro se plaintiff did not conduct an adequate pre-filing investigation and his claims for one patent-in-suit were exceptionally meritless. "[P]laintiff filed this lawsuit without purchasing or testing any of [defendant's] accused products to determine if they infringed the four subject patents. . . . During the [technology] tutorial, [defendant's electrical engineer] explained that [defendant's] accused optical products use a reference voltage in order to detect and measure particles. Thus, [plaintiff] should have known that [defendant] does not infringe [one of the patents-in-suit] as of [that date]. However, instead of dismissing the claims for [that] patent after reviewing [defendant's] discovery and appearing at the patent tutorial, plaintiff continued to prosecute his claims, relying on conclusory allegations of infringement." The Board denied institution of covered business method review of a communications system patent because the petitioner did not have standing under § 18(a)(1)(B) and 37 CFR § 42.302. "The Petition does not assert that [the petitioner] has been sued or charged with infringement. . . . The allegation that [petitioner] is a privy of one or more parties who have been sued for infringement, even if supported by evidence, would not establish standing for [petitioner]. During the . . . Senate debates on the AIA, Senator Schumer indicated that the word 'privy,' in the context of § 18 of the AIA, 'effectively means customers of the petitioner.' Thus, for example, the fact that Ford has been sued for infringement of [the challenged patent] does not thereby confer standing on every privy, or customer, of Ford to file a request for a covered business method patent review. Under the applicable statute and rules . . . in order to confer standing on [petitioner], the party sued must be a privy of [petitioner], not the converse. . . .[W]e determine that the information presented in the Petition does not establish that [petitioner] had standing to file the Petition or to be named as a Petitioner." The court granted defendant's motion for judgment on the pleadings that plaintiff's seven signal processing patents were invalid for lack of patentable subject matter and found that the claims were directed toward abstract ideas. "I find that [one of the patents-in-suit] is directed to the abstract idea of using personal information to create a customized presentation. Creating a coordinated presentation using user-specific information is similar to a claim recently held patent-ineligible by the Federal Circuit. The patent at issue there related to 'customizing webpage content as a function of navigation history and information known about the user.'. . . The abstract idea here is the same: it customizes a mass media program . . . using stored personal information." The court granted defendant's motion for summary judgment that plaintiff's account security patents were invalid for lack of patentable subject matter and found that the claims were directed toward abstract ideas. "In its broadest form, the claims relate to account monitoring and authorization, though [defendant's] narrower formulation also accurately describes the claims. . . . [W]hile [defendant] has not presented any banking or economic textbooks outlining a long history of using account limits and notifications as a means for security, the Court has little difficulty deciding that these 'method[s] of organizing human activity' are basic commercial practices." The Court imposed an adverse inference sanction on plaintiff in light of (i) plaintiff's waiver of privilege in declarations filed in connection with a bench trial (in lieu of live testimony) on inequitable conduct, which privilege had been asserted as a basis for withholding documents during discovery, and (ii) other discovery abuses identified in the court's in camera review of withheld documents. "[B]y making affirmative statements in his declaration that during patent prosecution he viewed certain prior art or claim scope in a particular manner, [counsel] was using his statements as a sword. . . . This classic sword/shield issue injected a serious fairness concern into the trial at the very outset. . . .The parties had been working towards trial for a significant period of time; clients had flown in from overseas, witnesses were ready to be called, the courtroom was loaded with boxes upon boxes of trial exhibits. . . . [The court's in camera] sampling appeared not only to confirm [defendant's] concerns but also to reveal additional serious discovery issues: a number of non-privileged documents related to topics at issue throughout the litigation had been withheld on the basis of privilege. . . . The production failure is undoubtedly larger than the few exemplars revealed by the Court’s own review. Given the many thousands of documents on [plaintiff's] privilege log, the Court cannot know the full extent of the problem. . . . Merely striking the declarations and precluding testimony treats the most recent issues as isolated and remediable – when they are yet another step in a long pattern of litigation choices that have caused delay, inefficient use of resources, and diversion from the merits. . . . [I]t is appropriate to preclude the testimony of [an inventor and an attorney]. It is additionally appropriate to make an adverse inference as to the intent of [an inventor and an attorney]. Only this inference . . . is sufficient to remedy the array of issues discussed above and to place [defendant] in a position as near as possible to that which it would occupy in the absence of the misconduct." Since the Supreme Court decided Alice Corp. v. CLS Bank International, 134 S. Ct. 2347 (June 19, 2014), U.S. district courts have addressed 35 USC § 101 challenges in potentially dispositive pretrial motions (motions to dismiss, for judgment on the pleadings, for judgment as a matter of law, and for summary judgment of invalidity) a total of 113 times. In 2015 so far, 76 such motions have been decided with 71% granted or partially granted. However, as shown below, the success rate varies by court. To view a Motion Success report showing the nationwide numbers with links to the underlying court documents, click here. To restrict results to a specific court, apply the “Court/Agency” filter in the right margin of the search results. The court denied defendants' renewed motion for judgment as a matter of law that plaintiff's digital content patents were invalid for lack of patentable subject matter because the patents were not directed toward an abstract idea and did not lack an inventive concept. "At a high level, the [asserted] Patents are generally directed toward systems and methods for controlling the use and distribution of digital works in accordance with 'usage rights' through the use of 'trusted' systems. . . .[T]he Patents-in-Suit are not directed toward an abstract idea, at least because they are directed toward patent-eligible methods and systems of managing digital rights using specific and non-generic 'trusted' devices and systems. Further, even arguendo, if the Court found that the patents are simply directed toward the 'abstract idea of enforcing usage rights and restrictions on digital content' as Defendants propose, which it does not, the claim limitations, individually and 'as an ordered combination,' are sufficient to ensure that the Patents-in-Suit amount to 'significantly more' than a patent simply on that abstract idea. . . . At the very least, the Patents-in-Suit disclose particular solutions for the problem of 'enforcing usage rights and restrictions on digital content' that '(1) [do] not foreclose other ways of solving the problem, and (2) recite a specific series of steps that result in a departure from the routine and conventional' way of managing digital rights." The court denied defendants' motion to stay pending inter partes review because of the advanced stage of the case and lack of potential simplification of issues. "Part of the quid pro quo of any stay pending inter partes review before the Patent Office is the promise of simplification. . . . Where the IPR will address some, but not all, claims asserted in the district court, relative to the quo the value of the quid shrinks considerably. . . . [A] trial date is set [in 12 months], the court has construed claims not once, not twice, but three times, the parties have exchanged voluminous document productions — in the Wave 1 cases at the very least — and fact discovery is set to close in just over a month. With the trial date just under a year away, these cases have already reached an advanced stage, and this court has put significant work into getting these cases this far. . . . With fewer than 25 percent of the claims at issue subject to inter partes review, the overall effect of any PTAB decision — whether it cancels all or some claims, amends all or some claims, or allows all or some claims to survive — will be minimal relative to the number of claims not under review." The court denied plaintiff's motion for Rule 11 sanctions after the court dismissed defendant's RICO claims. "Defendant contends that its counterclaim was 'premised on a far broader and more nefarious course of conduct than the mere filing of a single lawsuit.' Defendant alleged that Plaintiff’s business model was based on filing hundreds of frivolous lawsuits and the seeking of calculated nuisance settlements. . . . Defendant points out that other jurisdictions have favorably viewed RICO claims based on facts similar to its RICO claim. Although the Court dismissed the RICO counterclaim in favor of Plaintiff, the Court concludes that the RICO counterclaim was neither frivolous nor brought for any improper purpose. While the Court ultimately disagreed with Defendant’s legal theory, that alone cannot form a basis under Rule 11." Which Fees are Recoverable Under 35 USC § 285? Following a decision to award § 285 attorney fees, district courts often resolve a second wave of disputes concerning the amount and type of fees recoverable. Because district courts exercise broad discretion to fashion a reasonable fee award, these disputes encompass a broad range of factors and arguments including (i) reasonableness of hourly rates, (ii) reasonableness of hours billed, (iii) sufficiency and accuracy of billing records, (iv) reasonableness of law firm staffing, (v) fees for unrelated, unnecessary or non-patent disputes, (vi) fees for disputes in which the award recipient did not prevail, (vii) fees incurred for non-lawyer services, (viii) recovery of contingency fees, and (ix) many other equitable considerations. Since 2008, district courts have addressed these issues in 117 decisions. To view summaries of the decisions with links to the underlying court documents, click here. To be notified of new decisions on this issue, click the link then click “create alert” at the bottom of the search results. The court denied plaintiffs' motion for attorneys' fees under 35 U.S.C. § 285, but nonetheless addressed the reasonableness of the requested fees, concluding that fees for Litigation Database Analysts were recoverable. "The Court would . . . award attorneys' fees for work done by Litigation Database Analysts. . . . [W]hile technology specialists' duties are not strictly legal in the traditional sense, the Court believes that these technicians provide meaningful value to law firms and, ultimately, clients during litigation. . . . These technology specialists now do some of the specialized work that paralegals used to do. . . . The specialist is improving the quality of work product, and as a sensible approach, the case law should not penalize the practice in the legal community that is becoming more technology-based and efficient. . . . To do otherwise would be to allow the case law to lag behind the introduction of document management products and databases in the twenty-first century. . . . Document management is in great part what law firms do today, and clients expect to pay for that work. It is only fair for courts to follow the legal profession's development of new means of providing high-quality representation and recognize technology specialists' contributions as being legal in nature." The court denied defendant's motion to compel the production of documents regarding the IRS's determination that plaintiff's licensing agreements with its Puerto Rican subsidiary were not arms-length transactions because the documents were not relevant to the remanded damages trial. "Defendant asserts that Plaintiff has relied in the past and will rely again on licensing and royalty agreements with its related companies to inform a reasonable royalty determination in this case. . . . Inasmuch as documentation related to royalty rates between Plaintiff and its related entities may not even be relevant on the issue of determining a reasonable royalty in the very technology at issue in this case, documents regarding royalty rates involving other technologies certainly cannot be relevant. Just to be clear, this Court is not deciding whether or not evidence of the royalty rate paid by Plaintiff’s affiliates to Plaintiff on the technology involved in this case is relevant. This Court is deciding that evidence regarding the royalty rates paid by Plaintiff’s affiliates to Plaintiff on other technologies and evidence regarding the decision by the IRS that the rates paid on those technologies was not the product of arms-length negotiations is not relevant in this case." The court denied plaintiffs' motion for an injunction pending their appeal of the court's post-remand order which again found plaintiffs' drug patent invalid. "[Plaintiffs'] likelihood of success remains about the same as before. On one hand, the court has concluded that the [patent] is invalid on an additional, independent basis. On the other — while the court stands by its most recent judgment — it also recognizes that the case involves close calls, and that the Federal Circuit reviews de novo this court’s legal conclusions on obviousness and enablement. . . . But [plaintiff] is now less likely to be irreparably harmed absent an injunction. By opting to begin selling an authorized generic version of [its drug product], [plaintiff] — and not [defendant] — created the very risk of price erosion it fears. . . . Forcing [defendant] to wait even longer than the 11 months it has already waited since receiving FDA approval would increase the likelihood [defendant] would derive no revenue — and not merely delayed revenue — from its generic product. . . . Meanwhile, [plaintiff], by virtue of having launched its own generic, will have had the time to establish itself in the market for generic [product]."